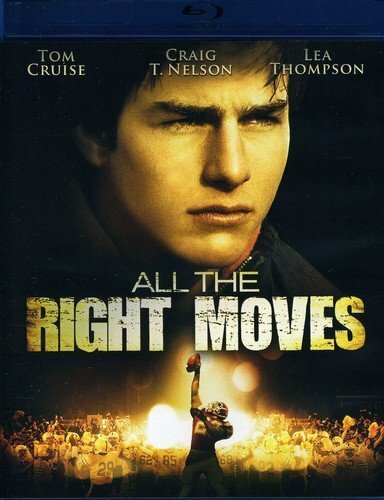 All the Right Moves, releases in 1983 opens to an epic opening title track montage before a young Tom Cruise gets out of bed and looks wistfully out of his bedroom window. It’s ridiculously cliché, but kind of awesome at the same time. The basic premise is a bunch of high school kids in a down and out town with no prospects hoping to football scholarships so that they can go to college. Anyway, at 1 hour and 30 minutes, this isn’t a long movie. Some of the classics on my list are up to 4 hours long! It’s also a fairly easy watch. One of the things I’ve already noticed about these films is that the storylines are far simpler and that it’s the characters that are important. Ultimately this movie is about men and their egos, but also about doing the right thing and supporting the people you love. 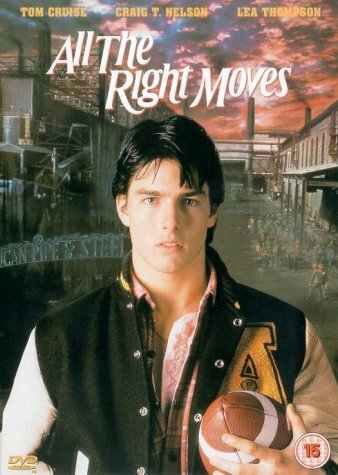 I knew nothing about this film before putting it on, other than it had Tom Cruise in it, so it was a surprise when Cruise’s love interest was Lorraine McFly, Marty McFly’s Mum from Back to the Future... a movie I love! There’s not really much more to say about All the Right Moves. It’s a nice feel good film that ends on a positive note. Although I will mention that Stef (Tom Cruise) claims to be 5’10” when Tom Cruise is actually only 5’7”. That amused me for some reason haha.